Managing a business isn’t the easiest thing ever, especially if you operate in a high rick industry. For instance, running a constructions company implies a strict discipline of all your employees and precise health and safety rules and regulations. 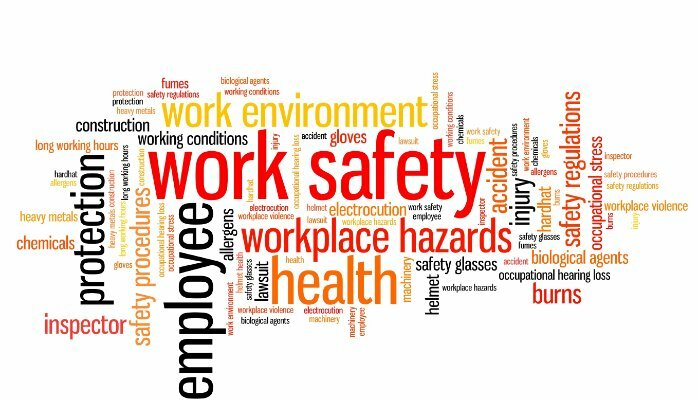 Moreover, you have to make sure your employees wear their protection equipment and that they are aware of all health and safety rules that apply in your company. Ignoring these rules may lead to work accidents and to severe injuries or even death. These being said, you need a way to manage all these safety rules and to monitor the behaviour of each of your people. By using a health and safety software, you can make all this process smoother, as you won’t need to create dozens of spreadsheets to keep an evidence of the health and safety training and of who attended what. You’ll have an excellent tool that would enable you to keep an eye on all these things and details that can make the difference between life and death. A good health & safety software would enable you to save a lot of time on data collection and reporting. This is a surefire way to cut your operating expenses and to reduce risks. Since all major risk processes in your business are going to be tracked with the help of this software, you won’t have to deal with omissions and delays that may trigger terrible accidents and hazardous situations. When purchasing such a software solution for your business, you need to take into consideration the specific requirements of your industry and the most important risks your workers are exposed to. The good thing is that most software solutions are highly customizable, so you’ll have exactly the functionality and the reporting features you need for keeping tabs on all health and safety issues in your company. You’ll have statistics and historical data to analize, in order to develop and implement measures meant to improve the safety of your employees. All these would be very difficult to achieve without the help of a software tool, so you should definitely consider investing in this method of offering your employees a healthier and safer work place. Even if you won’t be able to eliminate all risks, you’ll have a better prevention plan in place, thus decreasing the number of accidents and work related injuries. You’ll be able to assess and control the human factors more efficiently, as you’ll know at any given time what your next steps in training your staff should be. All these being said, before purchasing your software, you should contact several providers, in order to be able to compare their solutions. This is how you maximise your chances to make the best possible choice for the type of business and for the type of activity you have to manage. You owe your employees a safe place to work in. Your reward is going to be a better productivity and work efficiency.